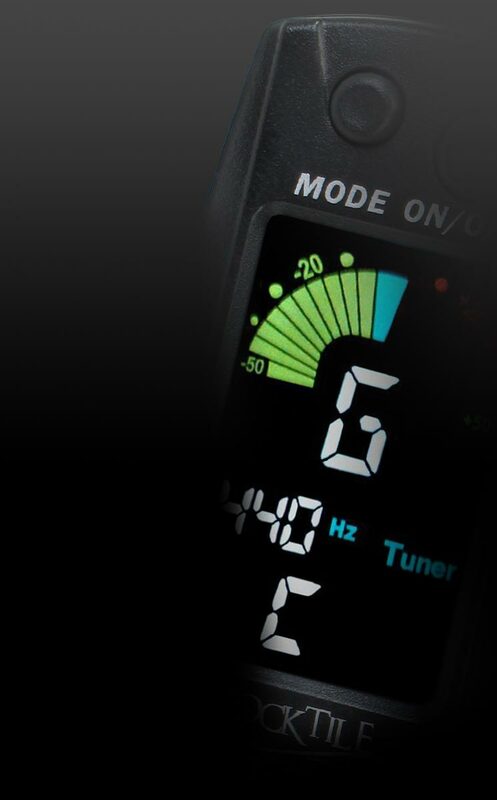 With the SM-100, Classic Cantabile once again provides an orchestra stand for all those who are performing on world stages and for anyone who counts on reliability and robustness. 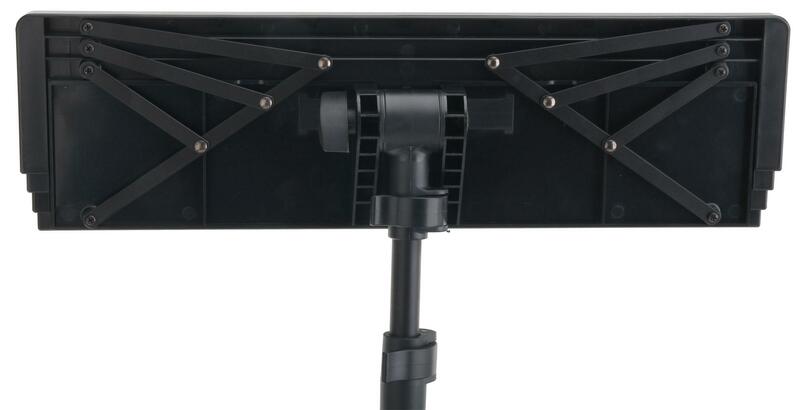 The key feature of this music stand is the storage surface of plastic which is telescopic and can be extended and retracted. This guarantees absolutely space-saving transportation. 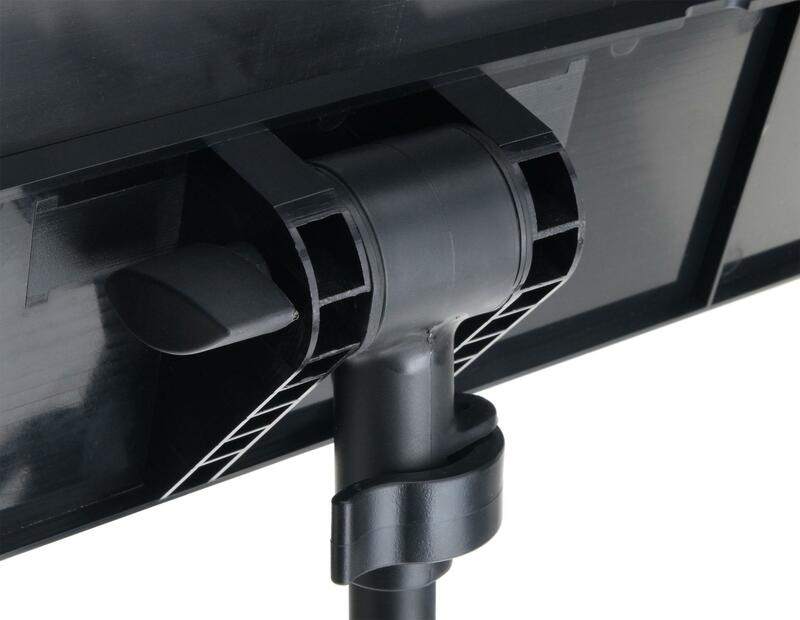 The three-legged tube construction with non-slip rubber feet ensures solid standing and is nonetheless folded up quickly and space-saving. 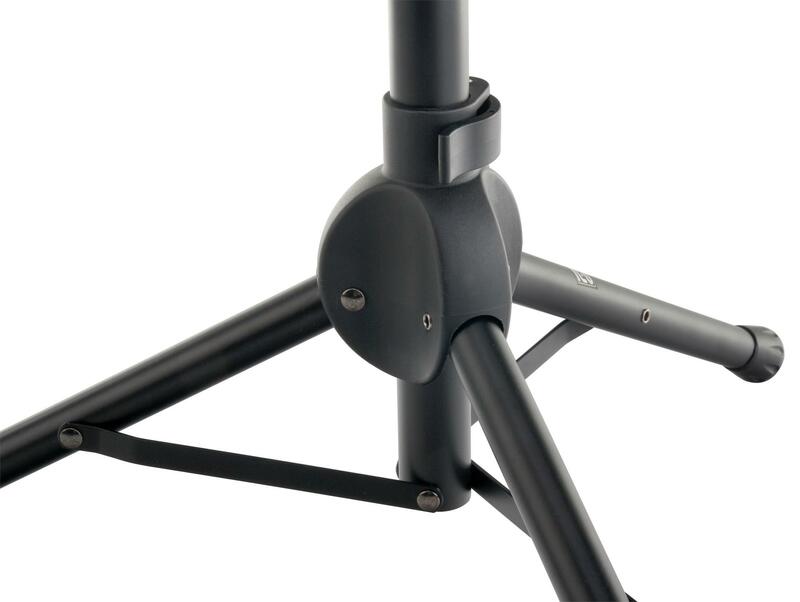 The large contact area can be extended up to 120 cm (lower edge of surface). Super-sturdy snaps made of hard plastic guarantee absolutely firm hold. 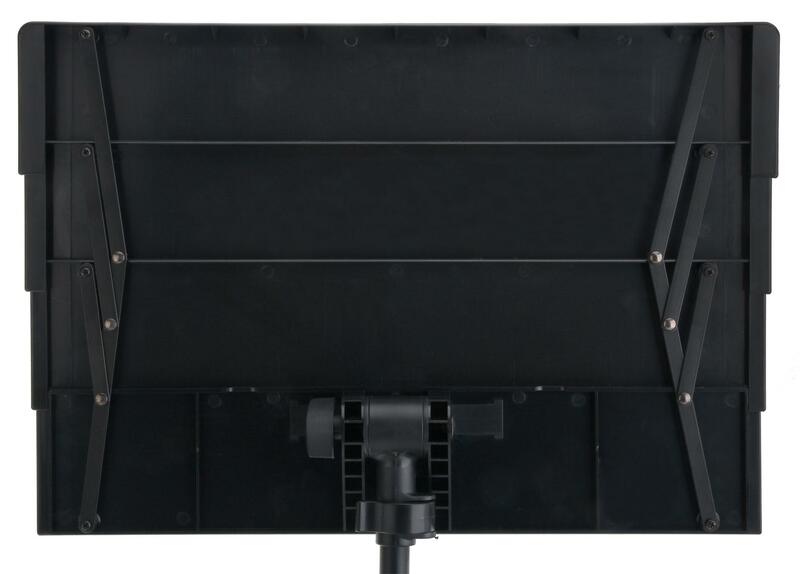 Whether at home on stage, in the rehearsal room or to make music at home, this music stand is your reliable companion. Sehr stabil,gut zusammenlegbar,leicht zu handhaben.